UT Idea Lab | Kaleidoskoop finals made SPARK sparkle with amazing ideas! 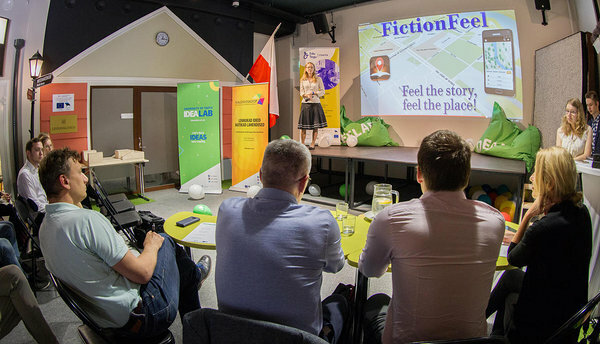 On Friday, 19th of May the eight Kaleidoskoop was held: the biggest students' business and project ideas competition in South-Estonia. 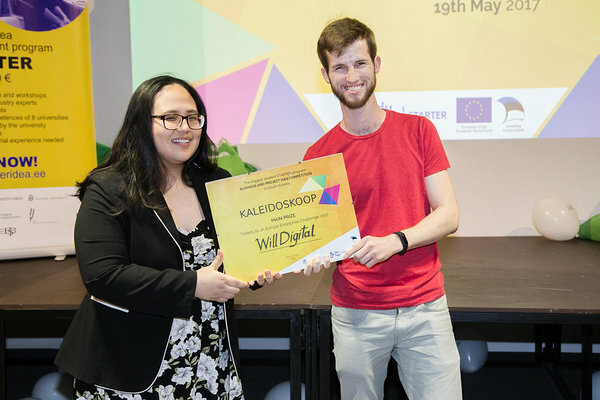 Two main prizes were given to our STARTER program graduate WillDigital who provides service for managing of digital legacy in a secure way, and a student company Klapp who produce smart earphone holders with a NFC sticker. This Kaleidoskoop, taking place for the eight time already, brought together more than twenty exciting ideas. In the first round, ten most promising teams were selected to pitch on the big stage in the final competition. The ideas were all different as chalk and cheese: from everlasting notebooks and environment-friendly shopping bags to mobile apps and sign language books. As always, Kaleidoskoop was also the final event of IdeaLab's STARTER program. One of the jury members, co-Founder of GoWorkaBit Kei Karlson was suprised at the profoundness of the projects. "Some ideas were so well-prepared that they could have been pitched to investors already!" she wandered. "I'm glad to see that the younger generation is so entrepreneurial!" As there were so many strong teams, two main prizes were given out. 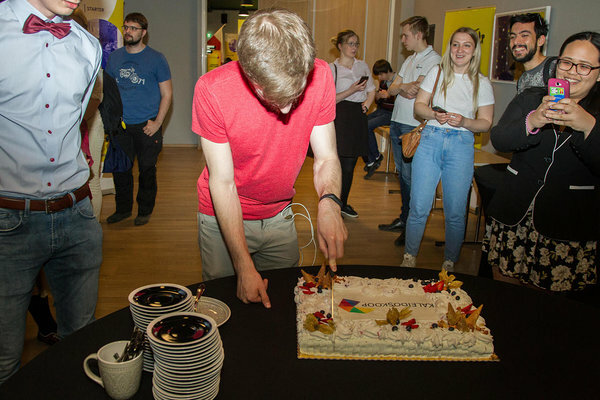 One of these - a chance to compete at JA Europe Enterprise Challenge - went to team of University of Tartu Institute of Computer Science students, STARTER program graduate WillDigital. The second main prize was given to student company KLAPP who will travel to SHIFT Business Festival in Turku. Leader of WillDigital, Denis Kovalenko was positively suprised about the results: "I only came here to obtain some know-how and experience - the main prize is a total suprise!" Talking about IdeaLab's STARTER program, Denis claims it's the perfect place for executing ideas: "With WillDigital I've reached higher than I ever imagined. By now, I know excactly what to do next to bring the project to a whole new level." Check out the photo gallery from IdeaLab's Facebook page!